There's a rare technical indicator that just appeared on Feb 29. It's signaling that shares of some of our favorite companies are about to give us an incredible "buy" opportunity – and the Disney stock price is one of them. This technical indicator has only happened two other times in the past 22 years, as Money Morning Chief Investment Strategist Keith Fitz-Gerald pointed out to us last week. Here's the thing – it's actually a negative indicator. It signals an imminent market dip. But there's also enormous upside potential once this market dip ends – and it always does. Disney stock is already trading at a discount now. At $99.60 per share as of Thursday's close, it's down 22% from its 52-week high. This indicator signals that Walt Disney Co. (NYSE: DIS) is set to trade at an even steeper discount in the coming months… before it soars. To give you an idea – the last time this indicator appeared, Disney's stock price dropped to a 45% discount at $30 per share in 2011. Then it surged 425% through August 2015, when it peaked at $122.08 per share. I'll explain shortly how this indicator works. But first, let's look at why Disney stock is already trading at a discount right now. Disney stock trades at a discounted price right now due to two factors: the Dow Jones Industrial Average's nearly 8.7% drop from Jan. 1 to mid-February and the rising fear of cord-cutters. The Dow's poor performance in the first two months of 2016 is old news, and it has since recovered its losses. But the fear of cord-cutters needs to be addressed… and allayed. "Cord-cutter" is a term for former cable subscribers that switched to streaming services like Netflix or Apple TV. In its last fiscal quarter, Disney said its income was down 5% due to a decrease in subscribers to ESPN. The sports network accounts for 52% of Disney's network operating income. In the long run, Disney will actually profit from cord-cutting. Disney's networks like ESPN and A&E are incredibly popular. Because newer platforms have smaller channel offerings than traditional cable companies, they want to offer the best content available. 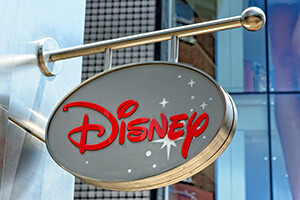 Disney's popular channels give it the leverage necessary to negotiate great contract deals. Disney CEO Bob Iger has even said that Netflix will be one of Disney's most profitable network partners. With concerns about cord-cutters put aside, let's take a closer look at the technical indicator that is signaling a looming dip in the Disney stock price – followed by a monster rebound. The technical indicator is called a "bearish cross." And for vigilant investors, it has led them to big profits. The indicator happens when the 10-month S&P 500 moving average crosses below the 21-month MA, as seen in the chart below. That happened on Feb. 29, when the S&P 500 closed at 1,932 – and signaled the third bearish cross in the last 22 years. 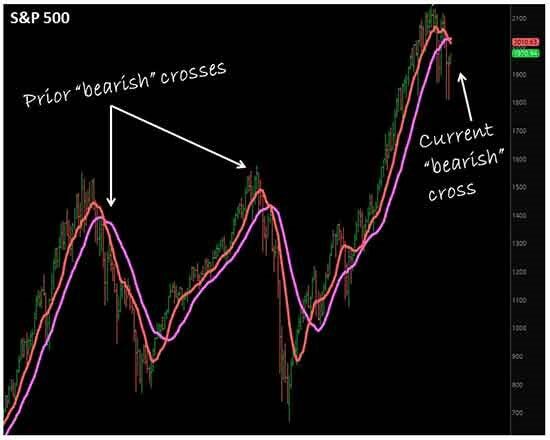 Although the bearish cross has negative implications, you can see from the chart above that the proceeding market dip is always followed by a market surge. Disney stock, which is already trading at a discount, will likely decrease in price when this market dip occurs. That's a great entry point for you to ride the next market surge and Disney stock's big comeback. While many investors will look at the coming market dip as a negative development, Fitz-Gerald sees the incredible upside in this scenario. "Chances are you wouldn't go to your favorite store when they're having a 50% more sale any more than I would," said Fitz-Gerald. "But I'm willing to bet you'd beat feet to the door if they held a 50% off sale." There are a few reasons why Disney stock is one of the best plays for the bearish cross. Disney has seen a lot of success lately. In its latest Q1 earnings report, Disney smashed earnings-per-share and revenue expectations. 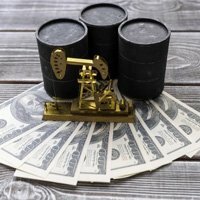 It reported an EPS of $1.63 against the Zacks consensus estimate of $1.44 per share. Disney's revenue came in at $15.24 billion against the Zacks consensus estimate of $14.93 billion. Disney owes a portion of its revenue beat to the latest installment in its "Star Wars" franchise: "The Force Awakens." The movie generated nearly $2 billion in domestic and international box-office ticket sales. Disney also made billions from "Star Wars" merchandise sales, which it projects to reach $5 billion by the end of 2016. And the "Star Wars" franchise will be worth billions more in the years ahead. Disney is already planning many more movies in the franchise while also expanding the franchise's dominance in its theme parks and consumer products sector. Disney is opening up two new "Star Wars" theme-park expansions in Orlando, Florida, and Anaheim, California. Both will be hot spots to buy "Star Wars" merchandise. Disney is also opening a new theme park in Shanghai, China, that will cater to 500 million Chinese Disney enthusiasts. Besides its "Star Wars" franchise, Disney is seeing a lot of success from its other films, too. Most recently, the new animated film "Zootopia" raked in $400 million in ticket sales in the United States and worldwide, which was Disney's biggest three-day movie opening of all time, according to Fortune magazine. Disney's Marvel franchise has also been a great, long-term revenue stream, generating billions of dollars since Disney acquired it in 2009. Disney stock has a lot of things going for it right now and in the near future. Its price/earnings ratio of 18.36 suggests the stock is undervalued. Based on the average of 32 analysts' earnings estimates, Disney stock has a price target of $114 by September 2017. But – even though it's undervalued – your real gain won't come from buying Disney stock now. Watch for the coming market dip following the bearish cross indicator. The trough of that dip will be an ideal entry point to buy Disney stock and profit from its discount. "Chaos (and bearish crosses) always create opportunity!" said Fitz-Gerald. That's dumb to wait for a dip…….the stock has momentum now and is coming back strong!! They got so much money making movies and park attractions and Tv things going on as well as merchandise and license fee's that to wait is losing out on the major happenings and growth now! !